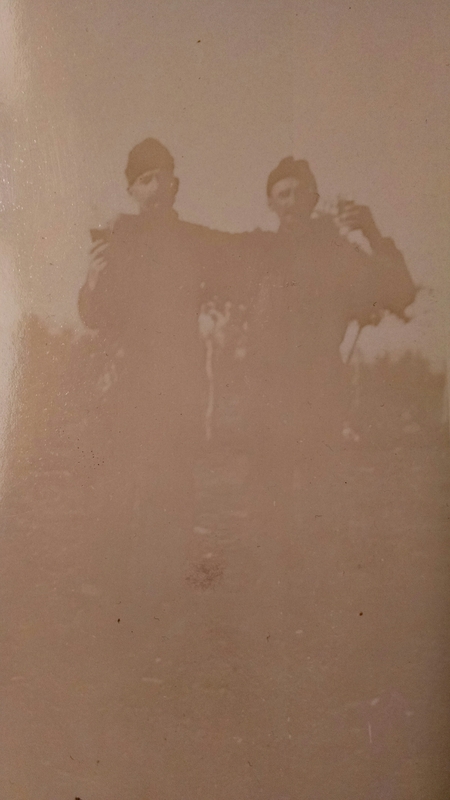 This is a photo of my grandpa August H Rettammel, Sr. (Right) with unknown man. In picture they are hold beer mugs. They are standing in cleared timber area. I can’t tell if for farm land or for lumber business. Location is either Marinette or Lyndon Station, WI.